LinkedIn is social media platform that can’t be ignored, with over 400 million users, it offers great opportunity for people to connect with business owners. Recruiters are always finding potential workers who are well accurate and have an impressive application. This is where LinkedIn steps up. Before you start with everything it’s a good idea to create something where you write all your attributes and skills from your CV, and then you can highlight ones that you wish to stand out for recruiters when they come to your LinkedIn profile. This is good idea because you then have sort of a blueprint and you can see what gaps are still there and think of filling them. When you are creating profile that needs to seem right and fit for recruiters you can follow the idea of an ” all star ” LinkedIn profile. Every great profile starts with a good image. LinkedIn is not like other social media platforms, this is real professional network, and your pictures also have reflection of it. You have to be smart, not too formal, smile and be relaxed, this is what people like to see. If you don’t have appropriate image, people tend to look at your profile less more. Remember that you are not on Facebook. You want to project professional image to the world. Think in a way that LinkedIn is like an open book. Your goal is to use this platform to find job that will help you in advancing in your career. Employers are finding candidates that are most desirable so they can fill key roles in her or his company. Make a good research of your competition. Try to find people who are currently employed in jobs that you are interested to work, let them be your inspiration. Be more personalized for interaction and engagement because you can maximize your results the moment you make connection with others. You want to make your profile more alive, so adding a video to it is a great idea. Update your accomplishments from last years. Ask yourself what are key things you did and drop them in. Publish something on LinkedIn, tell what is on your mind, and share your thoughts on issues. Employers sure want to know what you or your colleagues have to say. Join some groups and comment on them per one month. Try to make better connection with them as there are many rich discussions between people happening there. So it’s very logical to just jump in. Always hunt for the jobs. Look at sections frequently so you can stay on and follow the current trends in industry. Work a lot on your recommendations, this way you will enhance your reputation. You will look like professional that other people can depend on. Don’t waste your summary. Use that place to answer simple questions, for instance why are you doing what you do. Summary is some form of a human element of you, it’s the story of everything you did. Focus on the benefits of SEO. If your profile is set to public, search engines like Bing and Google will index it for sure. So take all the time you have and you can even put link on LinkedIn profile from your resume website. 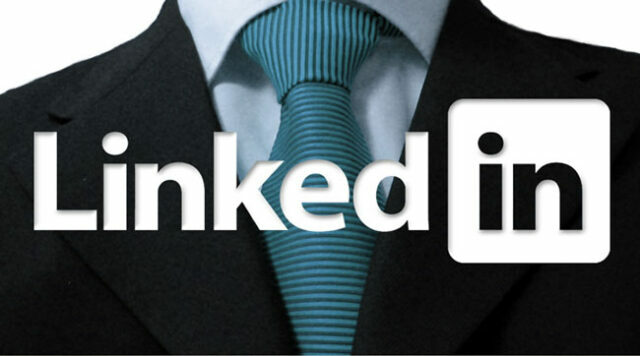 LinkedIn offers you many ways to play with, so you can market yourself more effectively. The only thing that’s missing there is you, the tools and opportunities are there.